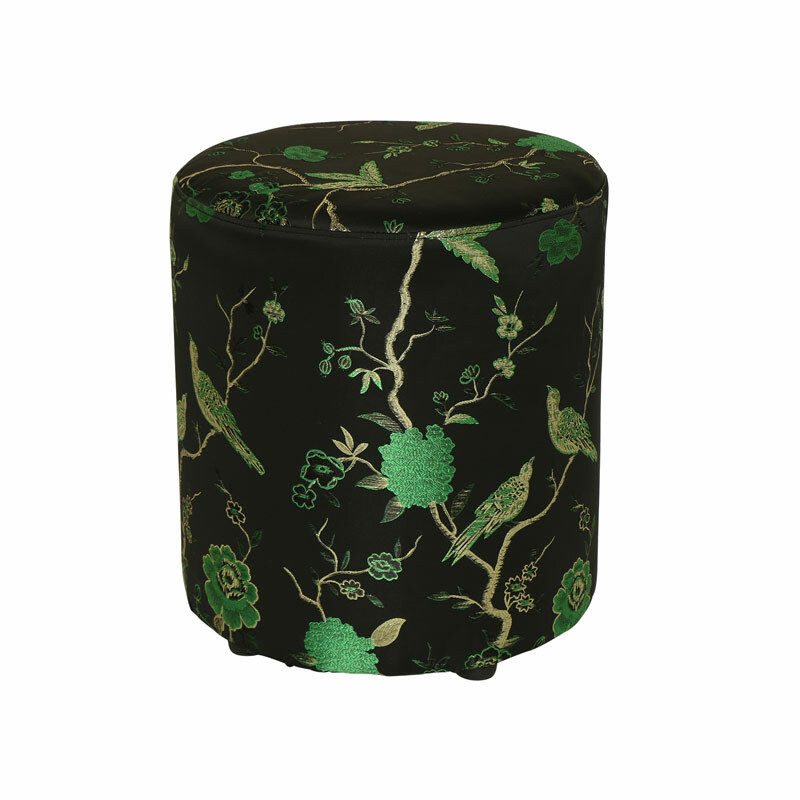 This luxurious black and green embroidered stool has a distinctly oriental, vintage design and glamorous feel. An ideal seat, foot stool or pouffe for a bedroom, living room or dressing room. The floral and bird print detailing is perfect for those who love black decor, pretty details or oriental style. Beautiful decorative design that will stand out. Can also be used as a fancy footstool. Comes fully assembled for immediate use. This stool is a wonderful addition to our growing range of stools and seating options. Offering a great choice to suit all colour schemes. 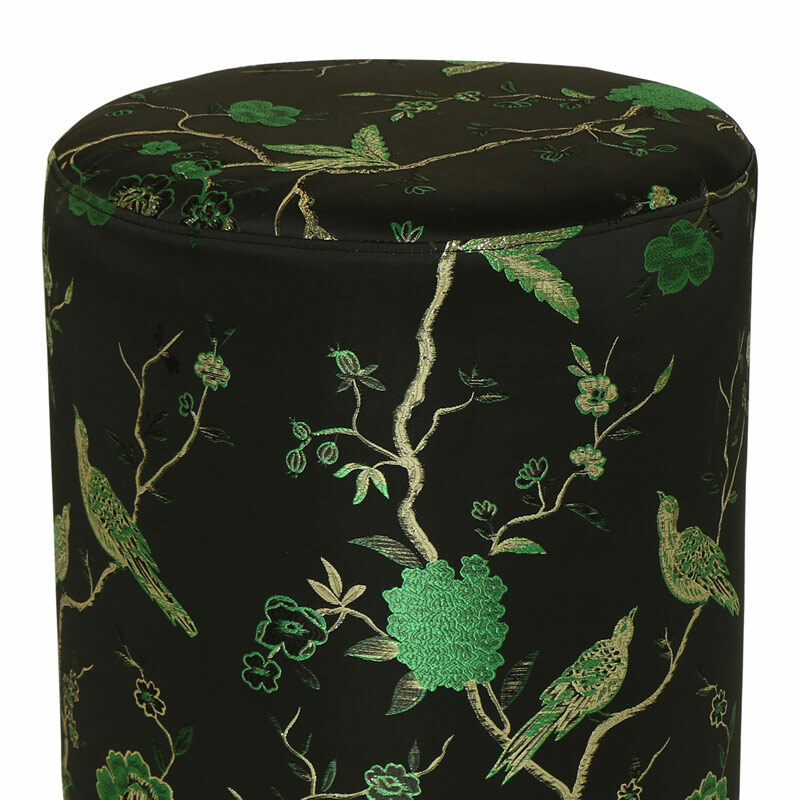 This luxurious black and green embroidered stool has a distinctly oriental, vintage design and glamorous feel. An ideal seat, foot stool or pouffe for a bedroom, living room or dressing room. The floral and bird print detailing is perfect for those who love black decor, pretty details or oriental style. Beautiful decorative design that will stand out. Can also be used as a fancy footstool. Comes fully assembled for immediate use. This stool is a wonderful addition to our growing range of stools and seating options. Offering a great choice to suit all colour schemes.